Is Your Car Providing Refuge for Pests? Although it may not be the most common pest problem, a pest infestation in your car can be a serious problem – especially with winter quickly approaching. Animals of all sizes are in search of a warm place to hide from the winter wind, and whether you drive a van, sedan or SUV, your vehicle could become the next winter guest house for insects, birds or rodents. 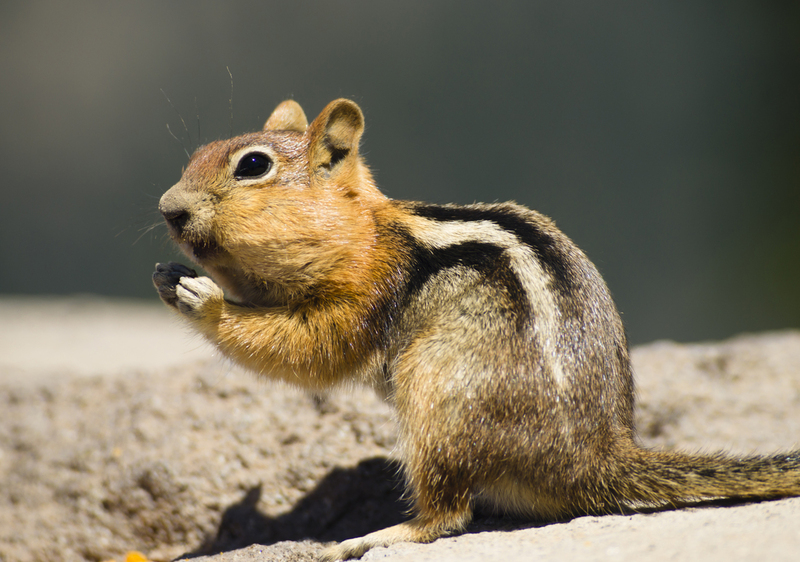 This Chipmunk is just waiting to explore your vehicle. Insects are the most common pests to create problems in your vehicle. Cars are especially tricky when trying to remove pests because of the many interior crevices and hard to reach spaces that insects can get into. If you have an insect problem in your vehicle, calling a pest expert to exterminate is the most effective solution. The most common rodent to find in your vehicle is mice. These critters enjoy the warmth of a car that is driven daily and will be particularly satisfied if there are crumbs or food remains left inside the vehicle. The worst part about mice in your car is that they can become trapped inside the engine or carriage of a vehicle. Owners are often unaware of the infestation until the smell of dead rodents circulates through the heater. Do not fear because there are many ways to avoid this, less than ideal pest infestation! Chipmunks and Squirrels are other pests that get into your vehicle. Squirrels are known to store nuts and pine cones in the crevices of your vehicle. If you live near pine trees, it’s not unusual to find a dozen or more pine cones tucked away in your engine block if you’ve let your car sit for a day or two. It’s also not unusual to see a chipmunk taking a little nap on your dashboard in the morning much like a cat or dog will stretch out in front of a window to soak up the sun. These rodents also have the clever idea that they’ll use your air filter as nesting material, so it’s not a bad idea to inspect your engine every so often. To avoid turning your car into a comfy motel for pests, there are some preventative tricks to keep in mind to help keep the pests out of your car. Bed bugs, cockroaches and ants are three common pests known to infest cars and cause serious problems. These critters are attracted to clutter so keeping a clean car is an easy way to decrease your chances of having these type of visitors. Do not allow garbage to accumulate inside your car, and do not store any food in your car for long periods of time, even if the food is non-perishable or odour free. Often drivers will vacuum their car to get rid of dirty, leaves and any sort of buildup on the floors and seats. This is very important to dispose of potential places for insects to hide and mingle in, but it is also important to clean the hard surfaces in the car by wiping them down with some sort of cleansing disinfectant. If these chores seem like too much work for you, taking your car to a professional detailer or car wash that includes interior can be a quick and easy way to take care of everything at once. Lastly, it is important to maintain the exterior of your vehicle. By design cars have cracks, panel crevices and gaps that allow creatures to get inside them fairly easily. If you have an older car that has a lot of exterior wear and tear, you are especially at risk for pests in your vehicle, especially if the floor of your car has begun to rot. You may have holes in your car you are not even aware of, so taking your car to be checked by a mechanic is a smart decision if you believe you are at risk for pest invasion. This entry was posted in Blog on 2014/12/08 by Any Pest.